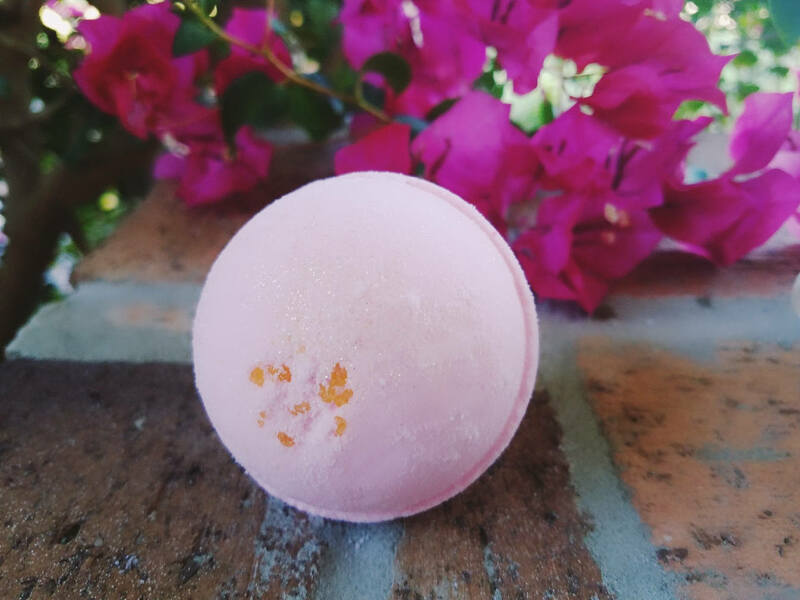 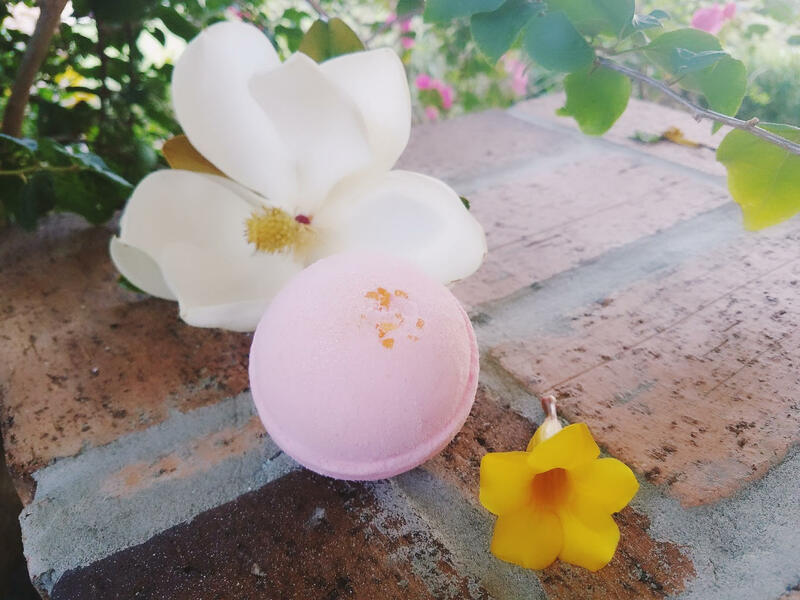 This Tiara Flowers, handmade bath bomb weighs approximately 4.5 oz and is roughly the size of a tennis ball. 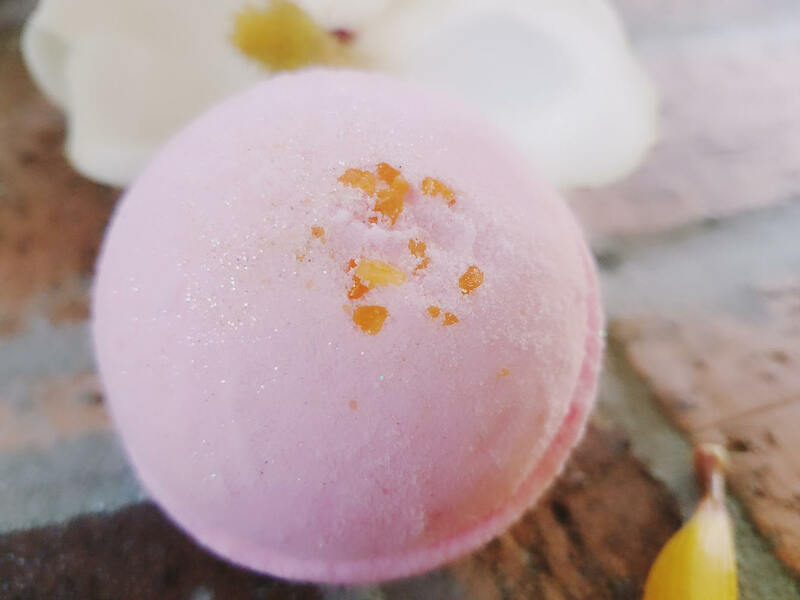 Enjoy a delightful bath soak with our amazing "Tiara Flowers" bath fizzy. 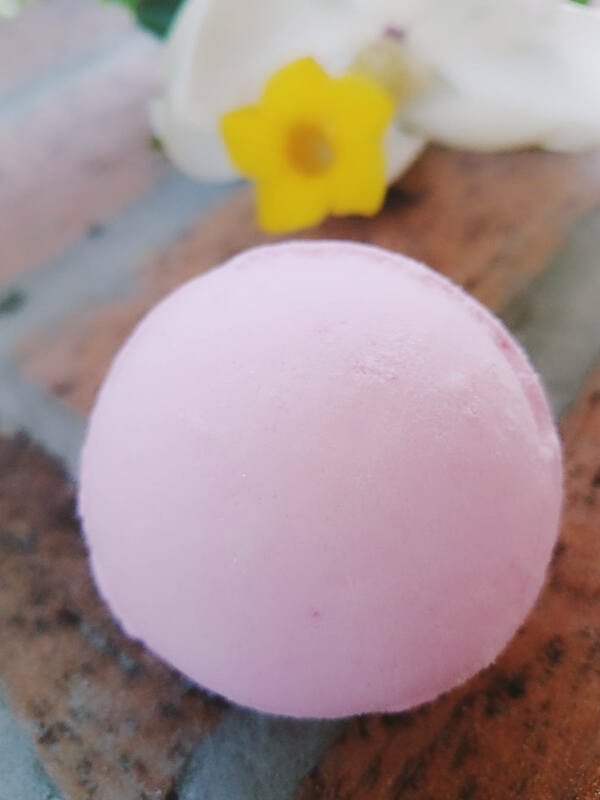 Rejuvenate your senses with the aromatherapy of pleasantly floral and spring scents of gardenia. 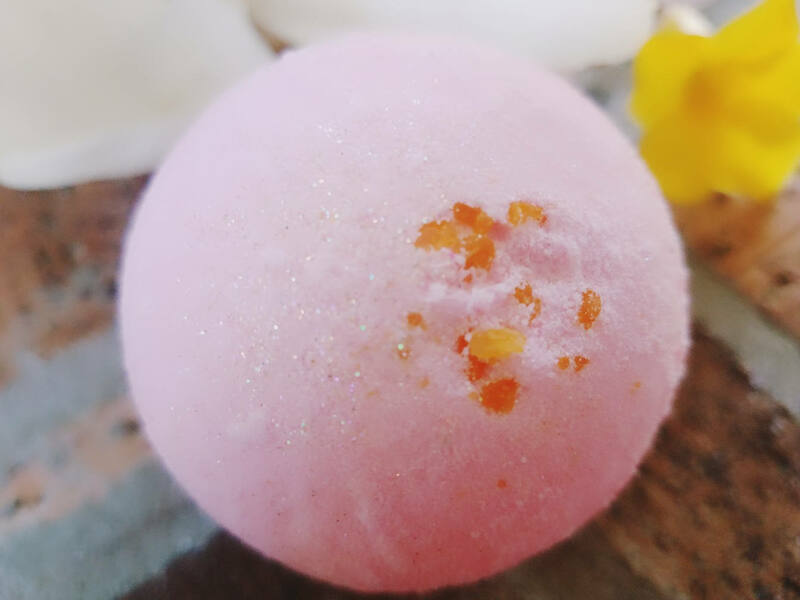 This bath bomb is light pink, with glitter, and an orange, dead sea salt center.